of Graphics control panel, under Anti-aliasing sub section. Optimizations in the driver binary size for DirectX* user mode driver DLL files. This implies a smaller disk footprint for the graphics driver. This driver enhances support for 4k2k (or Ultra Hi Definition) panels by adding the capability of an overlay plane (generally used for video playback) to be utilized for 4k2k panels. The complete report including OpenGL and OpenCL data can be found in THIS ENTRY of the GPU database. 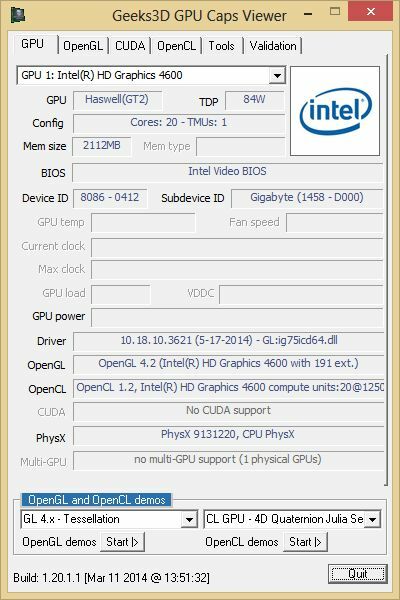 Latest Intel 3652 driver adds OpenGL 4.3 support. 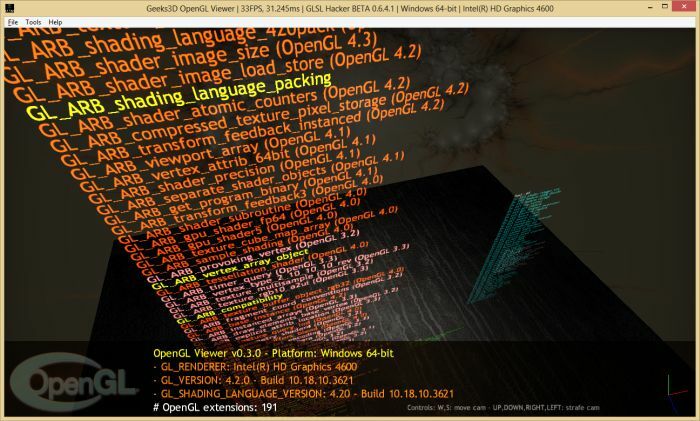 Intel 10.18.10.3652 beta drivers with OpenGL 4.3 support for Haswell. Intel has released 10.18.10.3945 (15.33.29 branch) driver for Ivy Bridge & Bay Trail.